Desertification and the consequent level of air toxicity in nearby countries have had their impact on South Korea, forcing schools to close for several days and deterring citizens from outdoor activities. Under a long-term goal to tackle such climate concerns, Seoul’s government is determined to contribute to the global community‘s blueprint to fight desertification and drought, according to the chief of the country’s forest service. 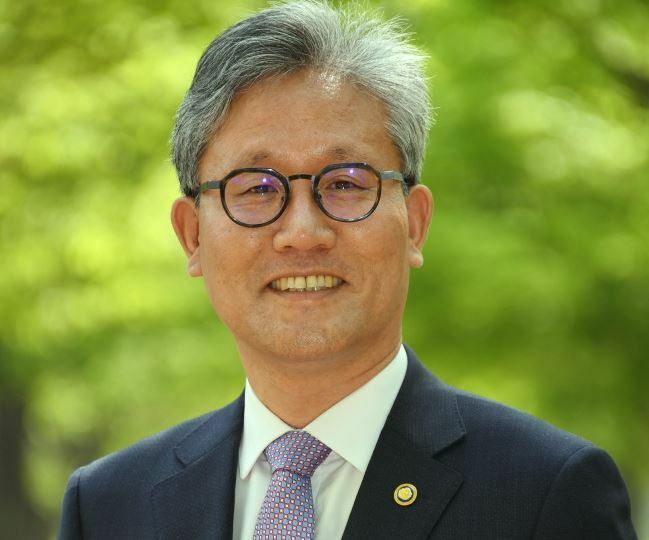 “I believe that we can help create global consensus that forest restoration in conflict regions would ease tension and bring peace,” Minister of Korea Forest Service Kim Jae-hyun told The Korea Herald in an interview. The state-run forest service, together with the United Nations Convention to Combat Desertification, organized a forum that ran from Wednesday to Thursday in Seoul to discuss ways to improve forest management worldwide and boost the practice of land degradation neutrality. “The purpose of the forum is to strengthen implementation of LDN within each country, and in the international arena by sharing successful cases of forest restoration contributing to peace in conflict regions,” Kim said. Such efforts will ultimately draw support from the international community to participate in reviving land in North Korea, he added. Land degradation neutrality is a conceptual framework that seeks to “combat desertification, and restore degraded land and soil, including land affected by desertification, drought and floods, and strive to achieve a land-degradation neutral world by 2030,” according to the UNCCD. Soil depletion is caused largely by human activities and exacerbated by climate change and natural evolution. The phenomenon is desolating some 12 million hectares of land every year, which translates into losses of roughly $490 billion. In line with the LDN slogan, South Korea had launched the “Changwon Initiative” in 2011, backed by support from the KFS. The Changwon Initiative has supported the UNCCD in various ways by financing more than $5.2 million per year to various activities managed by the UNCCD, according to a report on the Changwon Initiative by the UN. “Our plan is to share the results of the latest forum with the international society and foster the event into a new cooperation model for peace,” Kim said.